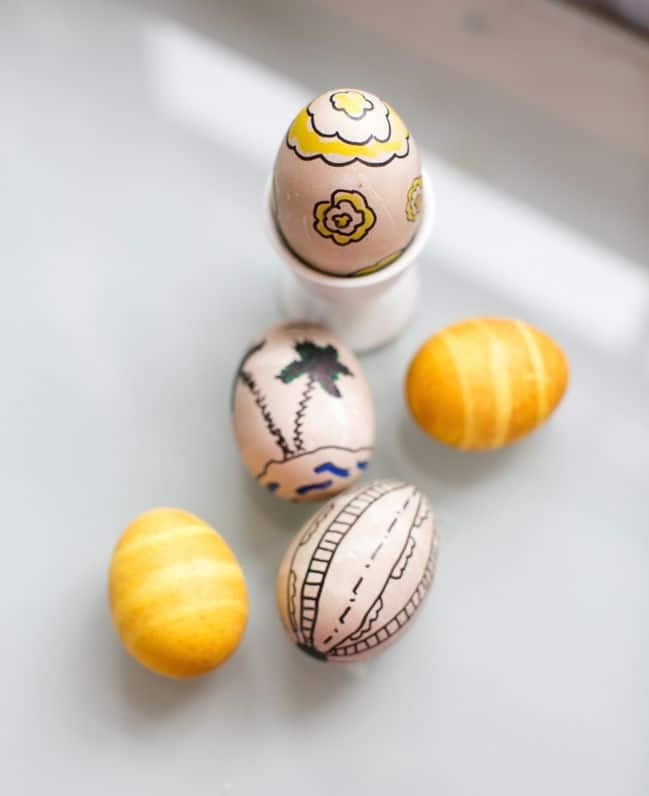 Easter seems so far away this year – who can wait till April 20 to crack open the egg carton? This year I wanted to experiment with natural dyes, though I’m not really sure if the ‘experiment’ was a success or not. Things definitely didn’t turn out as expected! Black eggs, anyone? After my floral facial steam, the water turned such a pretty color I thought it might make a natural egg dye. 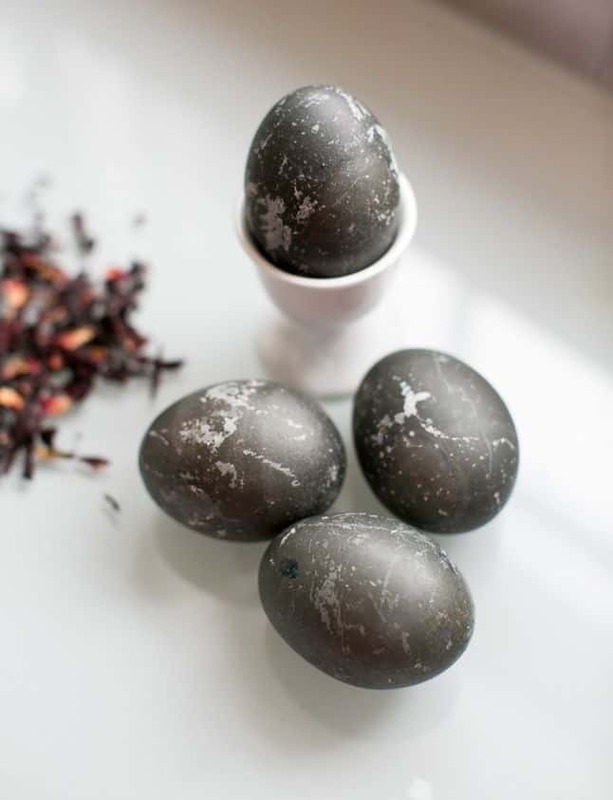 So I tried boiling a few eggs with a handful of dried hibiscus flowers – and they turned completely black! Not sure that the results are ‘pretty’ but black eggs are still kinda cool. 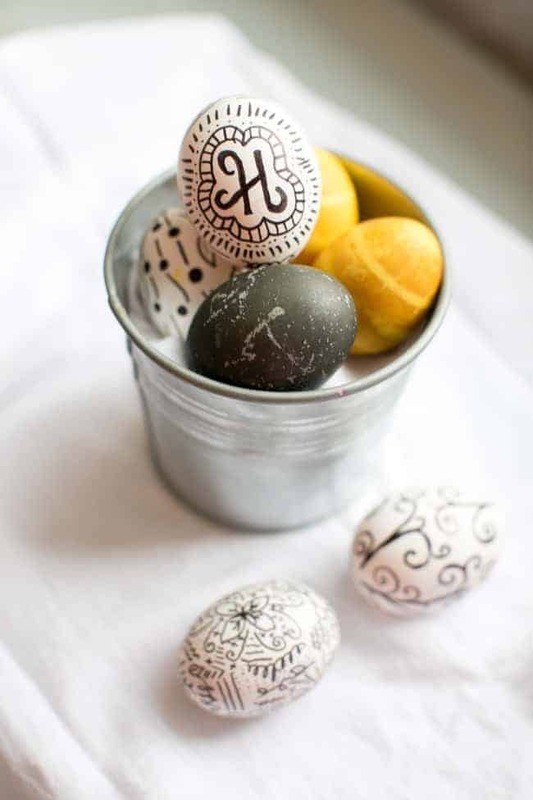 I want to try it again with stickers or wax on the eggs to create patterns. 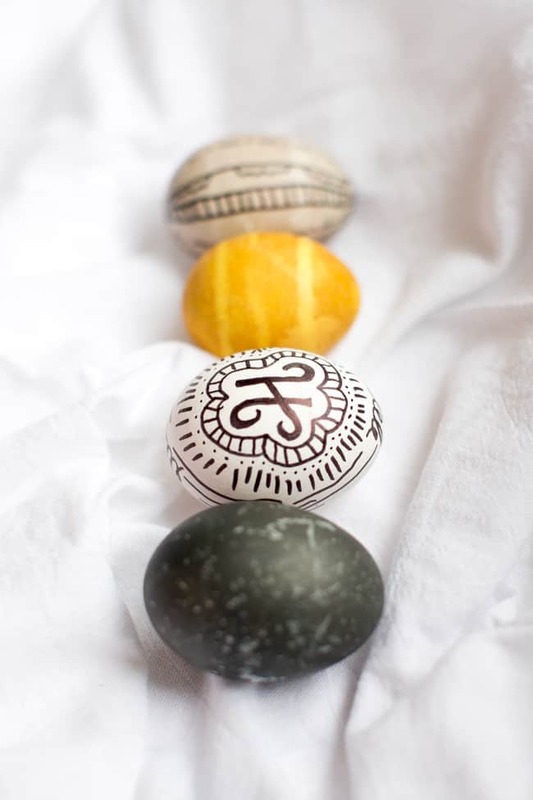 During the seemingly endless wait to see if something will happen with your natural dyes, I highly recommend Sharpie-ing a few eggs. 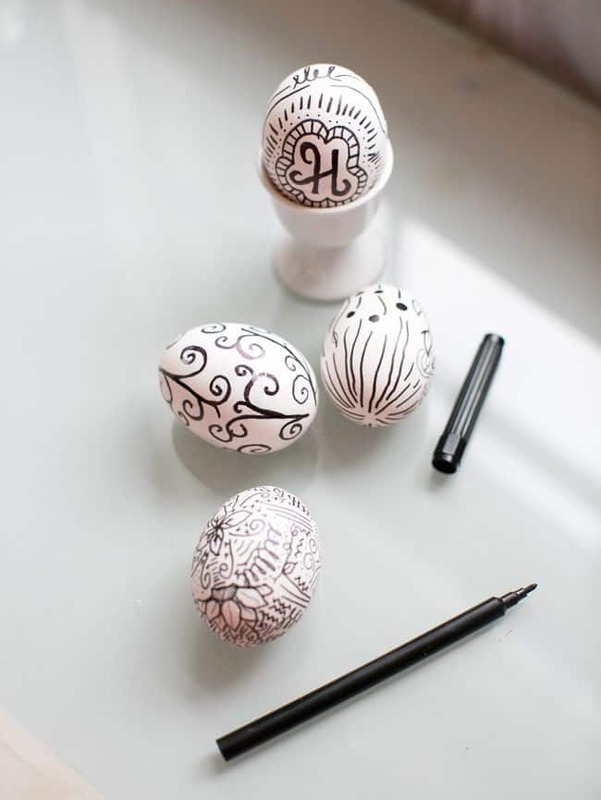 Perfect for bringing out your inner doodler artist (oh yeah, she’s in there), and it goes well with the unexpectedly black eggs. My other natural dye experiment was with turmeric and beets. Turmeric turned out to be a no-brainer. Add a few teaspoons to the water and let ’em boil. Eggs are amazing because the rings are there naturally (Mother Nature must know I need all the help I can get). I’m not sure I could duplicate it if I tried, but rubber bands might work. Dyeing with beets didn’t work so well. I’m not sure why (not enough juice? bad beets? ), but it never produced anything beyond boring tan. How to fix a craft fail? Option 1: dumping in a batch of purple Kool-Aid resulted in only a slightly darker boring tan. Option 2: doodling wins again! Have you tried any natural dyes? Let me know if you had any better luck with beets! Food colouring does exactly the same as tie dying and looks wonderful. You can use a spoon to dunk the eggs in and there is hardly any mess. How cute! I can not believe I’ve never noticed to do these things with sharpies before now!